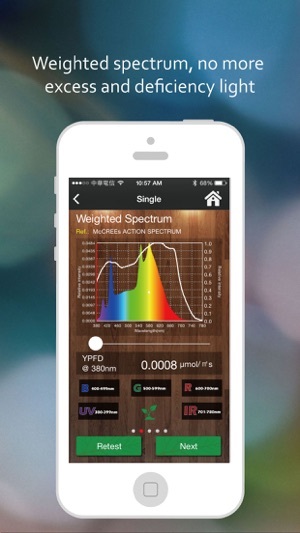 · Spectrum Genius Agricultural Lighting (SGAL) is now available. 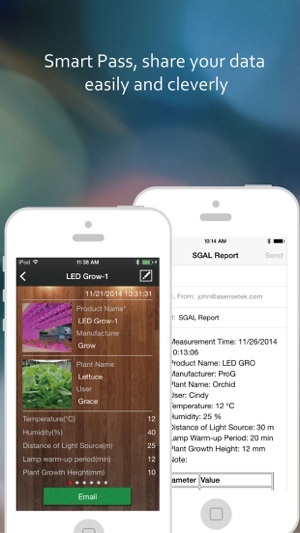 SGAL is a professional application to evaluate, select and monitor horticultural grow lights and produce indoor plants more efficiently. 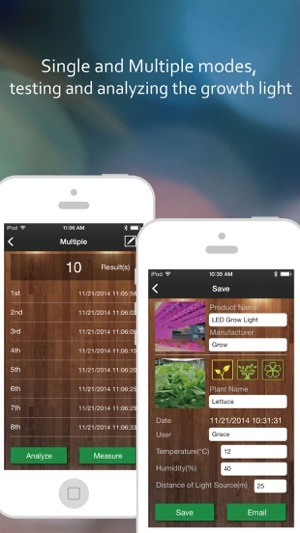 · Use the unique “diary mode” function to record light source information and plant growth daily or weekly. 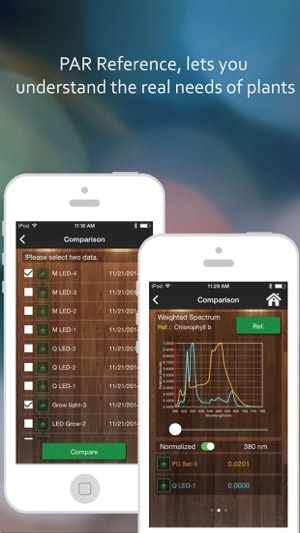 · Measure and record data from a series of lamps for comparison and analysis. 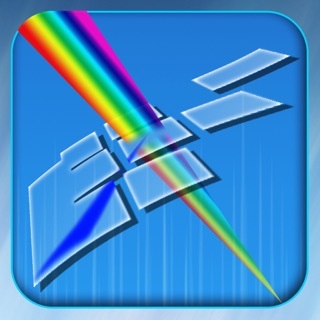 · Highlight different areas of the PAR spectrum to identify and isolate performance data and improve efficiency. Get PPFD and YPFD information. ESTABLISH TRENDS AND STANDARDS FOR DIFFERENT PLANT TYPES. 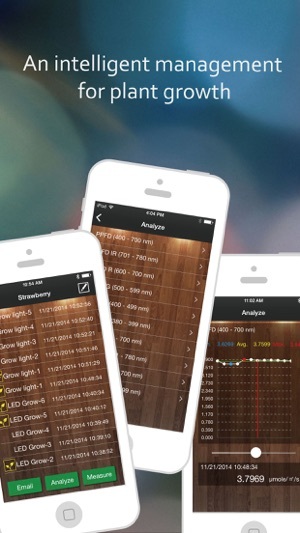 · Check measurements history and trends anywhere and at any time. 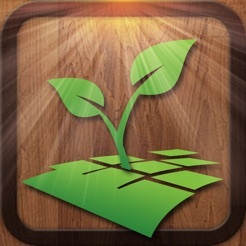 · Record your tests in the DIARY section for quick and efficient record keeping. · Use the reference section and detailed instructions for more information. · Thank you for choosing Lighting Passport and SGAL. Suggest you update iOS to the latest one for best user experience.